The Exponent gives you the option of subscribing to the weekly paper online, having the printed edition delivered or even both! We offer annual and semi-annual subscriptions. Death notices are placed in our newspaper and website with no cost. An official obituary ad does have a cost and you would need to notify us directly to place this ad. We offer a convenient way to pay your non-subscription invoices online. Please use this option to pay your monthly statements for advertisements, classifieds, design work, etc. NEW! The Exponent has expanded with a free unique website for sports and events. This division of the Exponent allows us to provide many additional photos, important notices, and additional content by expanding further into these specialty areas. The Exponent Extra is a sports and events division of The Exponent. Highlighted sporting events, scores, schedules & results along with special community activities and events are what makes this a very popular site for our community! Would you like to advertise on either of these sites? These sites are extremely popular with thousands of daily views and shares. This gives you a great opportunity of having your advertisement noticed. There are several different ad locations such as the wide banner for the top and bottom areas that show on each page, the home page side bar area, and the additional pages side bar area. 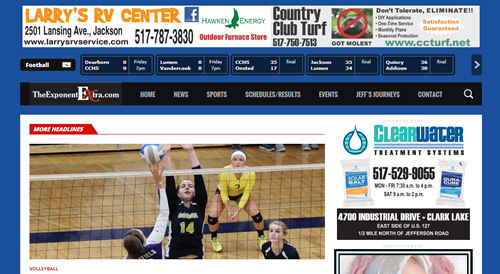 Call The Exponent at (517) 592-2122 if you are interested in having an advertisement on this site. The Exponent newspaper was founded on September 1, 1881, in Brooklyn, Michigan. We are located at 160 S. Main Street in Brooklyn, on the corner of Lane Street across from Buddy’s Mini Mart. 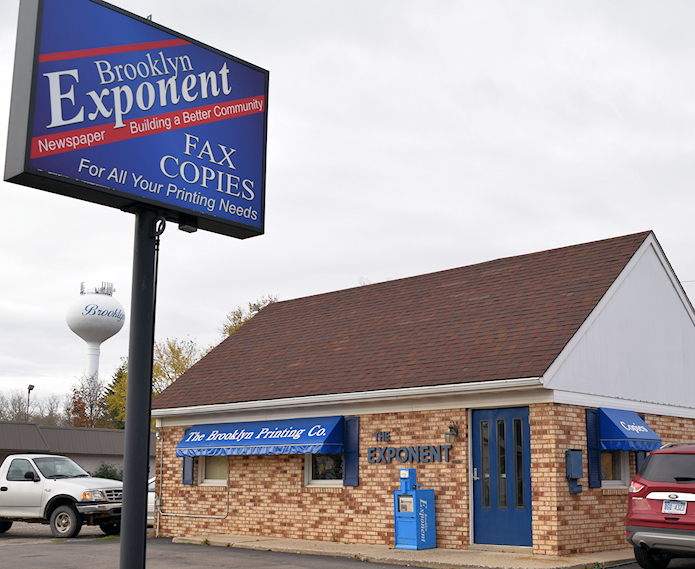 We continue to serve the growing Brooklyn and Irish Hills region with local news and sports, and offer a comprehensive print facility for your printing needs. We save back issues for sale up to one month after publication. If you missed a recent issue, stop by our office and purchase a copy. Newspaper availability subject to surplus. 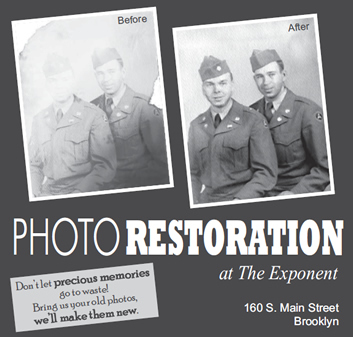 Scanned copies of most old-time photos which appear in The Exponent Attic feature are available for purchase. Copies are printed onto an 8 1/2 x 11 sheet of laser paper at 600 dpi/120 line for $1 per sheet. Looking for a particular old photo? Just ask! We have a large archive collection. Our archives are open to anyone who wishes to obtain information from them! Stop by our office Monday – Friday from 8:00 am-5:00 pm. For our friends who are unable to travel to our office, we will be happy to make copies of any articles necessary and mail for a nominal fee. For rates, please e-mail us! If you live too far away to travel to our office and wish to make research requests, you are welcome to do so. Our research staff is limited and due to many inquiries, research can take some time. The more specific information you can provide, the faster we may be able to assist you. We do not have an archive database online at this time, nor are our newspapers indexed.